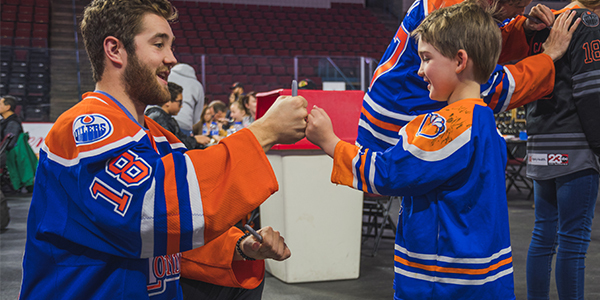 For 20 years, the Bakersfield Condors have made the community a priority, and the Condors Community Foundation – a 501(c)3 – raised over $478,800 in cash or goods for local charities, non-profits and youth organizations. The Condors all-time total is just under $6 million. Below are some of the ways that the Condors and the Condors Community Foundation worked together to give back to those in need in Kern County. The Condors jersey auctions this season raised over $108,000 for various charities such as the Kern County Cancer Fund, the Active 20/30 Club and the Kern County Burn Survivors Trust. 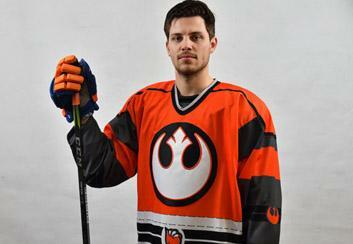 The all-time total for jersey auctions in team history surpassed $1.2 million. The team donned Star Wars, 20th Anniversary, Firefighters, Vietnam Veterans and Blackout Cancer themed jerseys during the course of the season. 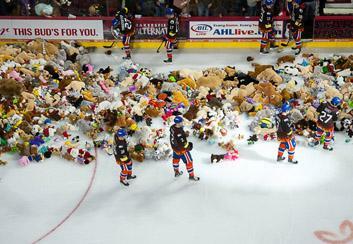 It’s the biggest night of the season in Condorstown, and a sellout crowd did not disappoint, throwing a team record 10,549 stuffed animals onto the ice after Brad Malone’s second period tally. This event has brought in over 121,000 stuffed animals over it’s history. Pencil it in right now for the Saturday of Thanksgiving weekend, and make sure you don’t miss out on this unique and memorable experience! 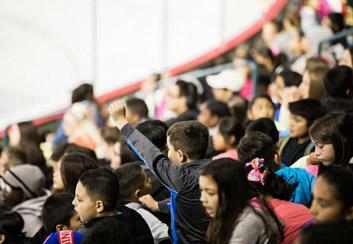 Every kid enjoys a Condors game, but not every kid or their family has the means to come out very often. The Big Buddies and Coach’s Kids sponsored by The Duffel Family programs donated over $25,000 worth of tickets to help put an extra smile on kids faces last season. 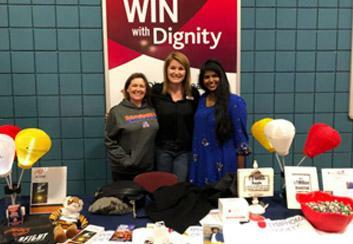 This program was brand-new in 2017-18, and gave 20 local charities a platform for awareness at the games, exposure through the Condors social media channels, and extra cash. Over $60,000 was given back to these non-profits over the course of the season, and this program will continue in 2018-19. Choirs performing the anthem, dance groupson the ice during intermission and ticket fundraisers are just a few of the opportunities that you can bring in cash for your school or non-profit organization. 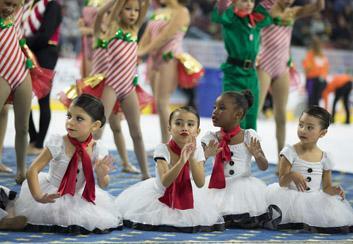 All together, teams, bands, choirs and groups raised more than $60,000 through working with the Condors. Sometimes fans can take home great prizes of their own, while helping local charities. TheJersey Raffle Table and 50/50 Raffle raisedover $70,000, while also sending fans home with game-worn Condors jerseys and pockets full of cash! 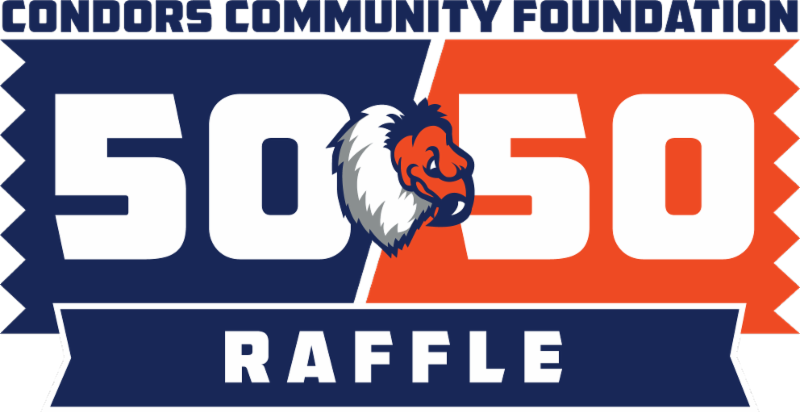 The 50/50 is held each home game, and the winner takes half the pot, while the rest goes to the Condors Community Foundation. 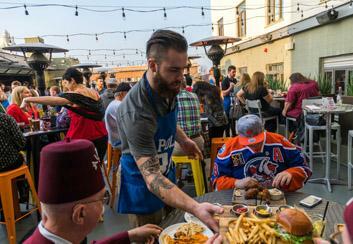 Unique events, such as the Tip A Condor Dinner (held at The Padre Hotel), and theCondors Golf Tournament (at Rio Bravo CC), gave fans special access to the players while raising money for local charities like the Kern County Shrine Club, as well as the Condors Community Foundation. Nearly $9,000 was raised through special events. The players painted dog bowls and personally shopped for items to go into customized Christmas stockings. 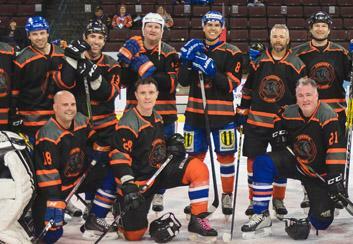 A jersey auction was held for the Condors Alumni Game. And Let It Fly Friday brought in nearly 6,000 undergarments for those in need. Events on game nights combined to raise over $11,000 in cash and an estimated $14,000 in goods.